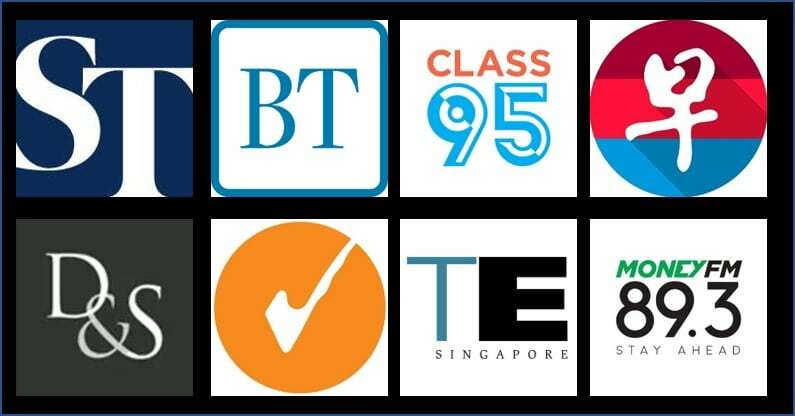 Cathay Pacific website T&Cs updated, 20% transfer bonus valid till 9 Jun 2018. 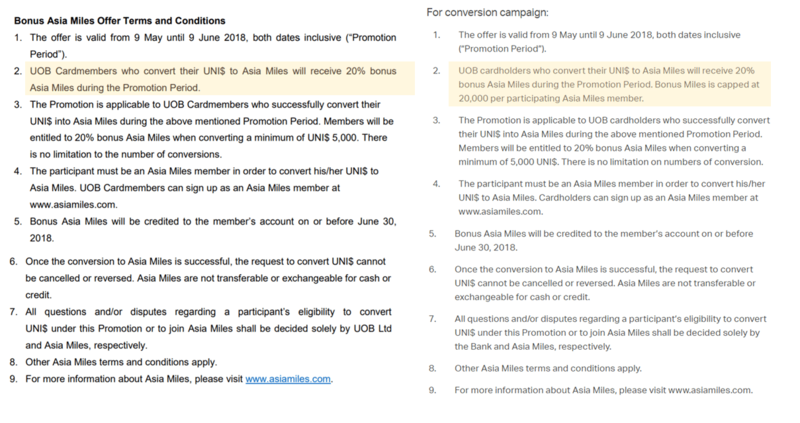 UOB is currently running a promotion that awards a 20% bonus on UNI$ transfers to Asia Miles. In other words, if you transfer 5,000 UNI$, you receive 12,000 miles instead of the usual 10,000. This promotion is valid for all transfers done by 9 June 2018. There was some confusion regarding the T&C of this promotion because the UOB T&C did not mention any cap on the bonus, whereas the T&C on Cathay’s website indicated that bonus miles were capped at 20,000. I transferred about 210,000 worth of Asia Miles as a hedge against the recent Asia Miles devaluation (my thinking: the quantum of devaluation is about 20% to me, so by transferring now I at least preserve my value), so was understandably worried about the discrepancy. Fortunately, I reached out to UOB on Facebook and they responded very quickly, clarifying that there was no cap, and they’d be reaching out to CX to ask them to update their site. I’ve just checked the CX site and indeed the new T&C do not mention any cap. As a side note, I was quite impressed by the speed of the UOB team’s response. I messaged them on Wednesday morning and they gave me a call that same afternoon (which I missed as I was in a meeting), before trying again on Thursday morning. If you’re thinking about transferring miles, you have a couple days left to pull the trigger. I transferred as a hedge against the devaluation, but the actual magnitude of the devaluation will be different for everyone depending on your redemption patterns so be sure to do your analysis before deciding. May I say that’s because it is YOU, who messaged them. Any other plebeian will be duly attended as soon as possible. i have very salacious facebook profile pictures, imagine that helped too. Well said Esie! That was exactly my reaction too! The bonus miles posted yesterday. I didn’t hit cap, so couldn’t verify it.